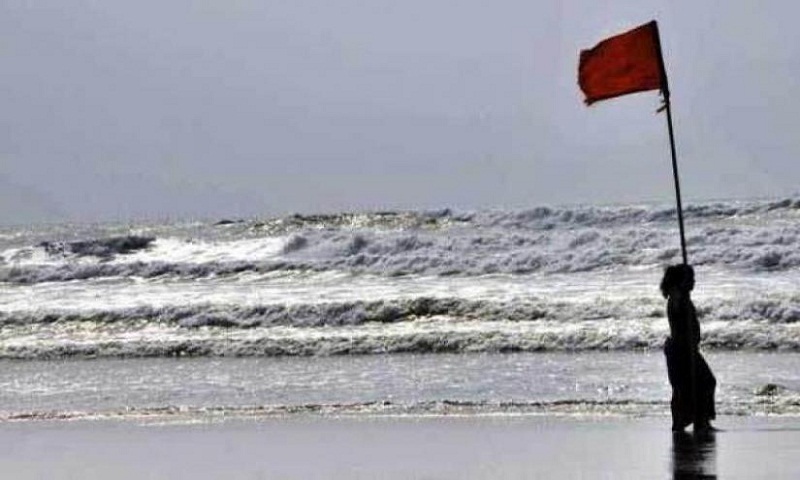 Maritime ports of Chattogram, Cox's Bazar, Mongla and Payra have been advised to hoist distant warning signal no two as the deep depression over southeast bay and adjoining area moved to northwestwards, intensified into a cyclonic storm ‘Phethai’ over southwest bay and adjoining areas on Sunday. It moved northwestwards further over the same area (near lat. 11.6°n, long. 83.5°e) and was centred at 06:00 am Sunday about 1495 km southwest of Chattogram port, 1440 km southwest of Cox’s Bazar port, 1385 km southwest of Mongla port and 1380 km southwest of Payra port. It is likely to intensify further and move in a north/northwesterly direction, said a special bulletin of the Met office. Maximum sustained wind speed within 54 kms of the cyclone centre is about 62 kph rising to 88 kph in gusts/squalls. Sea will remain very rough near the cyclone centre, it added. Due to the cyclonic storm, light to moderate rain is likely to occur over at a few places over Khulna, Barishal, Chittagong, Dhaka and Sylhet divisions. Weather may remain mainly dry with partly cloudy to cloudy sky elsewhere over the country. All fishing boats and trawlers over the North bay have been advised to keep close to the coast and proceed with caution till further notice.